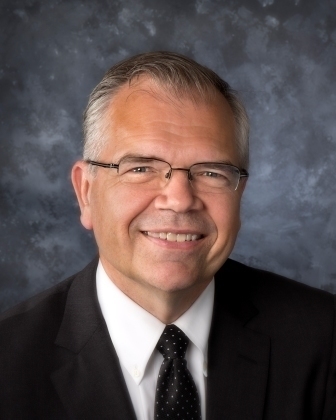 Dr. Richard (Rick) J. Goossen, President & Founder, ELO Group – Rick’s focus is to provide overall leadership and direction to ELO Group, which includes three related entities. First, there is ELO Counsel (www.ELOCounsel.com), an advisory firm which focuses on transition, governance and strategy solutions for family business owners and entrepreneurs. Second, there is ELO Network (www.ELONetwork.org) whose purpose is to connect, equip and celebrate marketplace and entrepreneurial leaders. Lastly, there is the Entrepreneurial Leaders Institute, established in collaboration with Wycliffe Hall, University of Oxford (www.ELOOxford.com), which delivers world-class leadership training. Rick has extensive experience working with family business owners and entrepreneurs to provide transition / succession planning, governance and advisory board leadership and strategic planning. Rick has extensive experience doing business in Asia. He previously worked in Hong Kong for five years, with the largest law firm (Johnson, Stokes & Master) and a leading merchant bank (Hambro Pacific). He co-founded a property investment firm in Hong Kong that generated up to $30 million in revenue per year. Rick is a professional public speaker who has had countless local and international speaking engagements in Europe, North America and Asia to leading universities, chambers of commerce, business groups and non-profit organizations. He has been MC, interviewer, keynote speaker and workshop leader. He has taught entrepreneurship, entrepreneurial finance, strategic management, business law, international business and ethics as an adjunct professor (BBA and MBA programs) and guest lecturer at universities around the world. Rick has edited five books and authored six books related to entrepreneurship. Two of the books he authored are available in six translations, including Entrepreneurial Leadership: Finding Your Calling, Making A Difference (IVP, 2013) and Entrepreneurial Who's Who (Career Press, 2016). He has also published over 300 articles and blog posts. In terms of credentials, Rick earned a Ph.D. from Middlesex University, London, UK; a Masters of Law (LL.M.) from Columbia University, New York City; a Bachelor of Laws (LL.B.) from McGill University, Montreal; and a Bachelor of Arts (B.A.) (Hons.) (First Class) from Simon Fraser University, Vancouver. With respect to professional credentials, Rick was admitted as Barrister and Solicitor of the Province of British Columbia, Canada and voluntarily withdrew his membership to focus entirely on business pursuits.